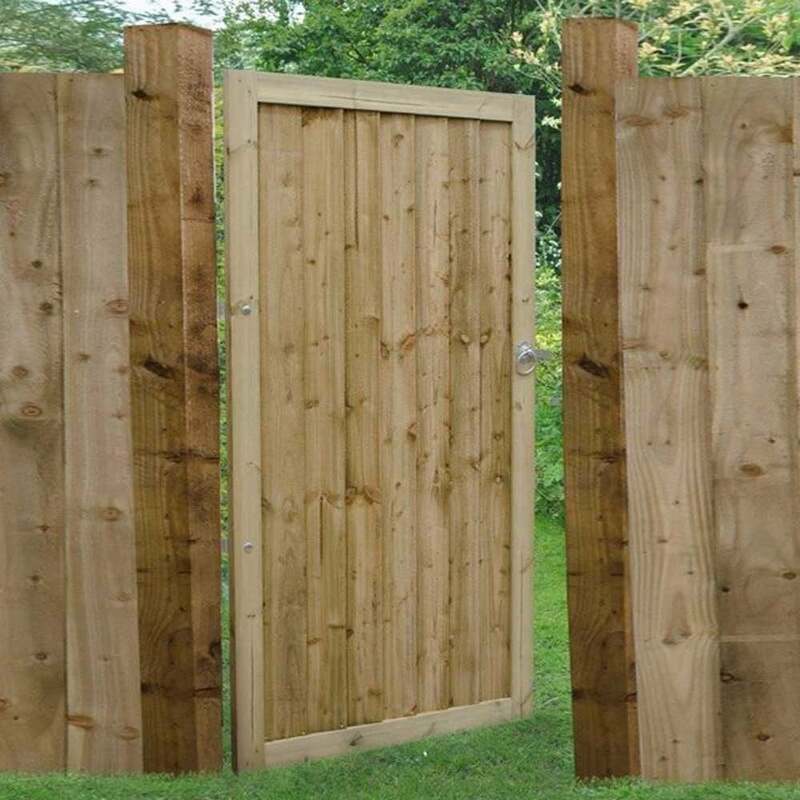 Forest Garden Pressure Treated Featheredge Gate 6ft (1.82m) High: Forest Garden’s most popular and durable garden gate. Use the Pressure Treated Featheredge Gate if you are looking for a sturdy garden gate that will offer you ultimate privacy and security, but without sacrificing good looks. It features vertical overlapping boards, fitted in a robust frame. Pressure treated, so you don’t need to worry about rot in a good fifteen years. A perfect match with the fence panels of the Featheredge range for a sleek and beautifully consistent garden look.